Auto Expo 2018 got off to a start with a focus on electric vehicles, following the government's not-so-subtle nudge for the country to go electric by 2030. 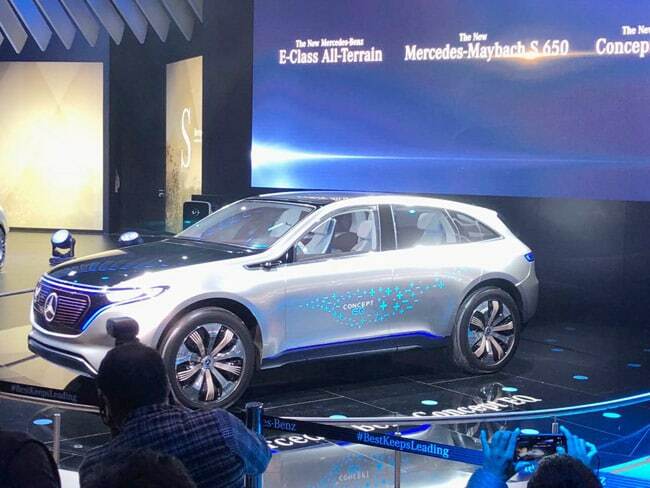 Among the models strutting their stuff was the Mercedes EQ SUV that takes all of five seconds to go from zero to 100kmph, with a maximum range of 500 km on a single charge. In fact, a charge of five minutes is sufficient to drive it for 100 km. Expect to shell out at least Rs 50 lakh for it.